Slugs are a common problem in most gardens. The uninvited, slimy little pests thrive in dark, moist, cool locations - basically the same places that Hostas like to live. Slugs enjoy dining on hostas, thus a conflict of interest for hosta growers, and gardeners in general. What can you do? We suggest SLUGGO. 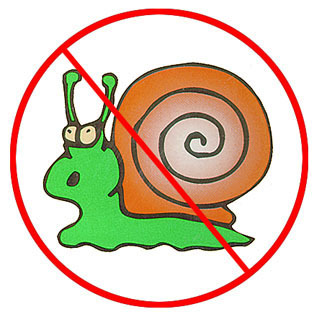 Sluggo is all natural, safe around children, pets, wildlife and even your vegetable garden! It is made of iron phospate, a natural fertilizer. It is only effective against slugs and snails. This stuff really works! A little goes a long way, so do not let the price scare you. You will not be disappointed. Give it a try!